New Year, New Postcard Swap! It’s that time of year! 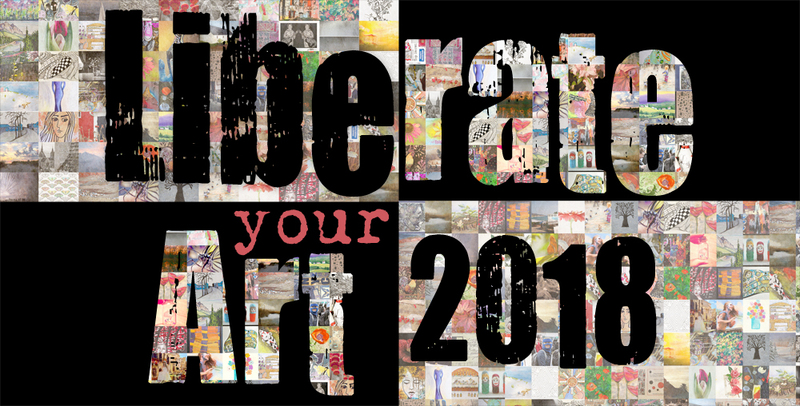 The holiday decorations are coming down and the celebrations are wrapping up, but there is still something to look forward to…The 8th Annual Liberate Your Art Postcard Swap is just getting started! I’m excited to get the 2018 swap launched. You can learn more, sign up, and see info on past year’s swaps here. This year’s swap deadline is Saturday, March 17. Chase away the dark and the cold with some great art and connections with other fun, likeminded participants. I hope you will join us this year!